Biodiversity is the basis of human survival and life support system. It includes diversity of forms right from the molecular unit to the individual organism and then on the populations, community,ecosystem and biospherical level.Biodiversity is not a merely natural resource but is an embodiment of cultural diversityand the diverse knowledge traditions of different communities across the world. India is bestowed with rich biodiversity at ecosystem, species and genetic level in 21 agro-ecological regions, 15 agro-climatic zones, 10 bio-geographic zones and 24 biomes.Unfortunately, despite the enactment of legislations pertaining to biodiversity,there are clear symptoms of degradation and declining of biodiversity at different levels. One of the pre-requisite tasks as expressed by Article 7 of the Biodiversity Convention is the identification and monitoring of the components of biological diversity and Article 12 calls for Research and Training and suggest Programmes for identification,conservation and sustainable use of biological diversity. 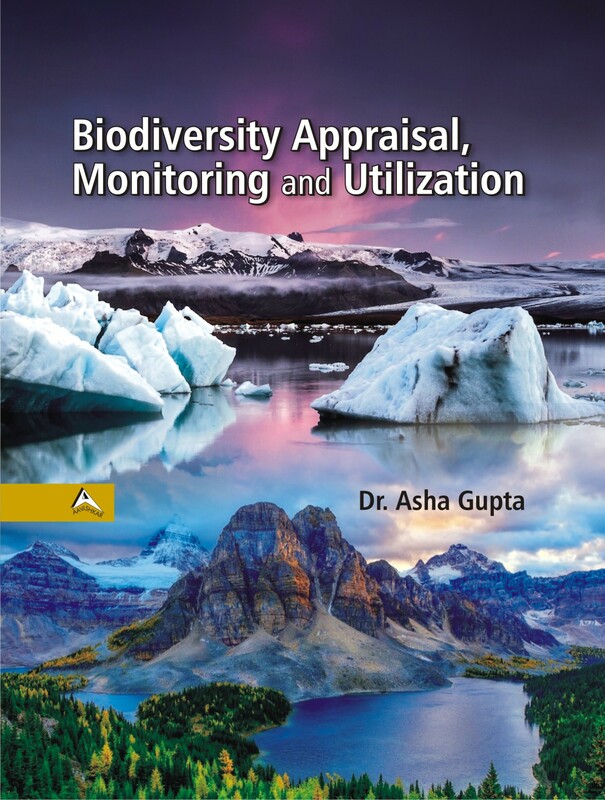 The book Biodiversity Appraisal,Monitoring and Utilization includes integrated interactive information in eighteen chapters on distribution of biodiversity in various ecosystems, trends of its utilization, monitoring and conservation practices. The book familiarizes the students of Life Sciences, Botany,Foresters, Scientists, Researchers, Academicians, Conservation Managers, Activists, Policy Makers on current trends and the latest developments covering various aspects of Biodiversity Appraisal,Monitoring and Utilization.